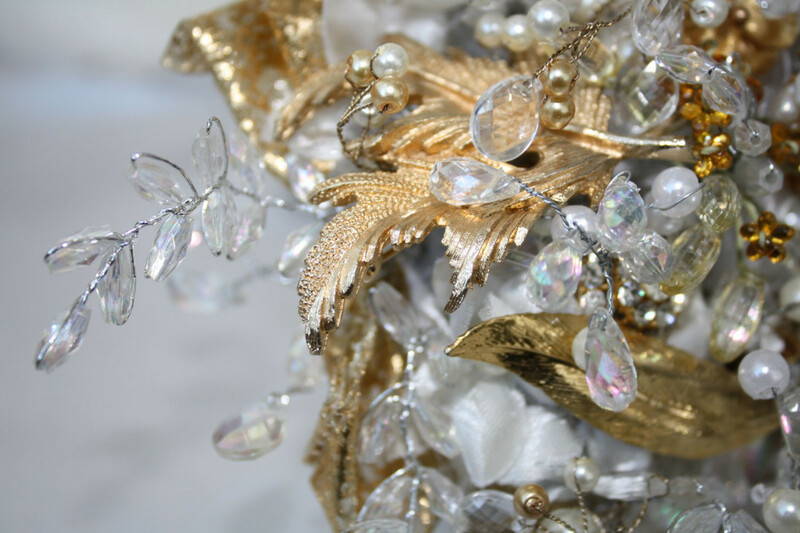 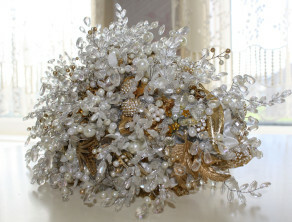 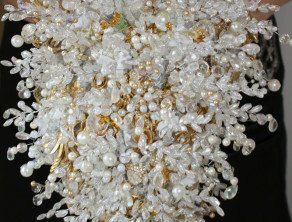 Elegant and sophisticated, this vintage styled brooch bouquet is very unique due to the nature of using vintage pieces. 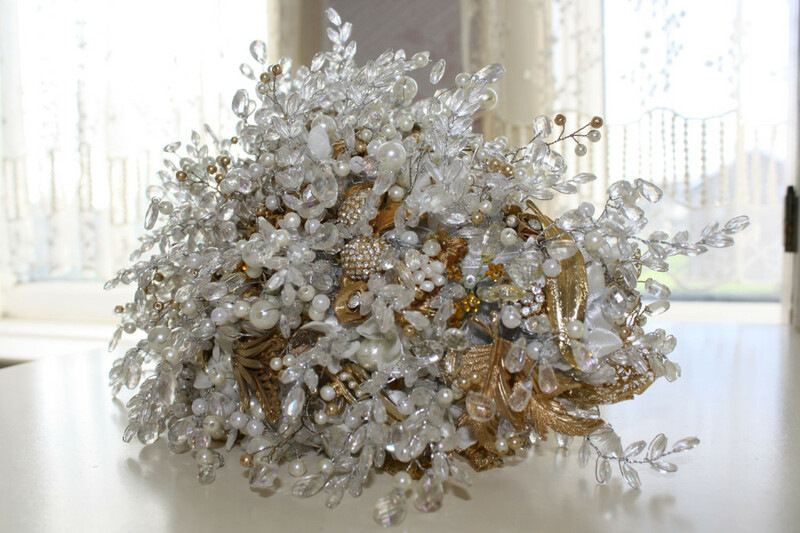 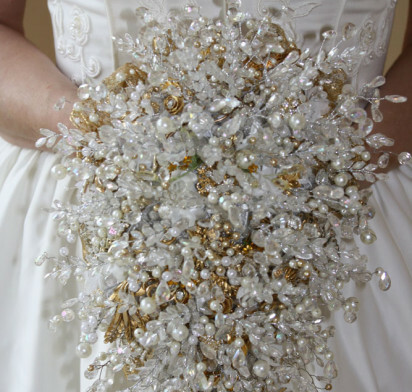 A classic, vintage feel this large teardrop brooch bouquet is full of timeless vintage styled brooches mixed with glass pearls, Swarovski crystals, faceted beads and delicate silk flowers. 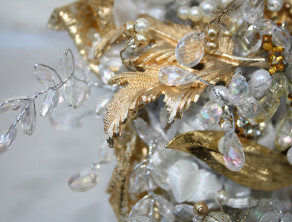 Our vintage teardrop brooch bouquets are available in varying sizes, colours and prices start from £345 including P&P. 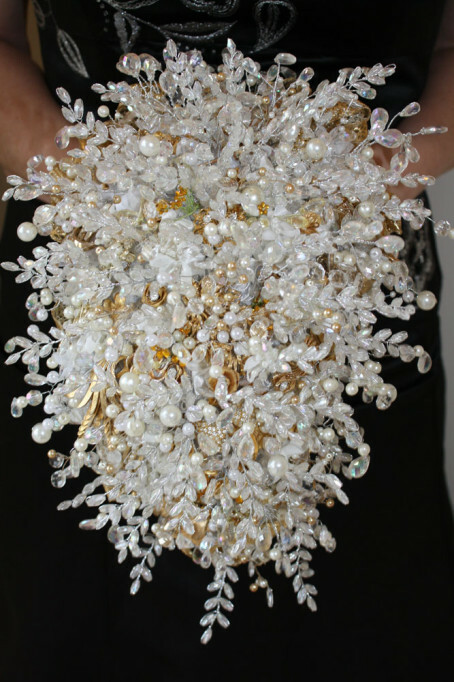 A vintage brooch bouquet of the same size pictured here (25cm x 38cm) using similar materials and pieces would cost £575 including P&P. 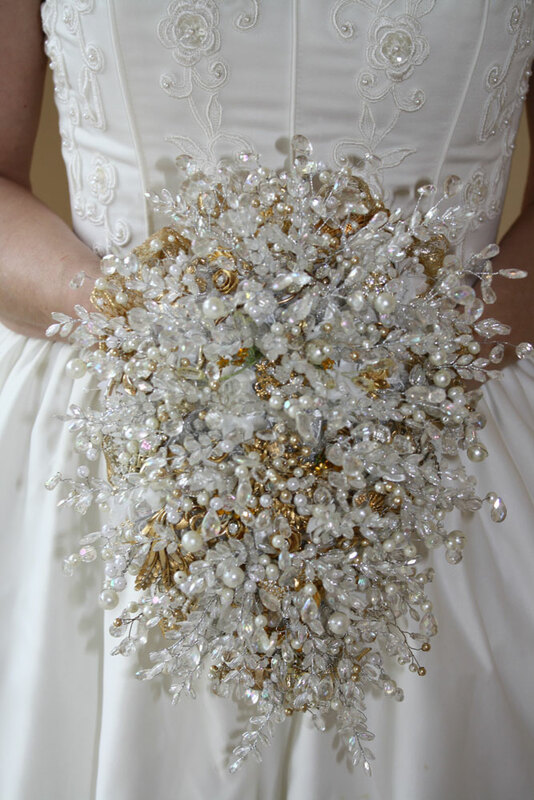 Please email info@bespoke-bouquets.co.uk or use our enquiry form and we will be happy to discuss your individual requirements.